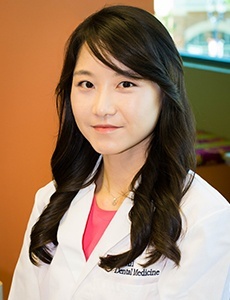 Our Newington practice is proud to have an on-staff orthodontist, Dr. Ji Young Lim. She earned her DMD from the University of Pennsylvania. Later, she went on to receive a master’s degree in Bio Science and her Orthodontic Certificate from the University of Maryland. Dr. Lim’s approach to dentistry is simple; she strives to treat every patient as if they were part of her own family. She takes the time to get to know each one’s goals and expectations for orthodontic treatment. She also hopes to empower them to make wise decisions about their oral health while they journey toward a straighter, more attractive, and more functional smile. Outside of the office, Dr. Lim enjoys reading, traveling, hiking, and watching the Food Network.